The resolution also calls for a boycott of Arizona companies, travel to Arizona and Arizona events. The Border Network recognizes the leadership of County Commissioners Veronica Escobar, Anna Perez and Willie Gandara who listened to the community and took action to protect El Pasoansâ€™ rights. The Border Network will continue to escalate its response to Arizona law SB 1070 with a symbolic action Wednesday and is inviting the media to join us. What: About 30 El Pasoans, handcuffed, will turn themselves in at the county jail in Downtown El Paso. When: 11:45 a.m. Wednesday. Please be on time. Why: The Arizona law makes Hispanics criminals, liable to be arrested if they look like undocumented immigrants. Is that the kind of society we want to live in? More information on the Border Network for Human Rights: This organization, founded in 1998, is one of the leading immigration reform and human rights advocacy organization in the United States. 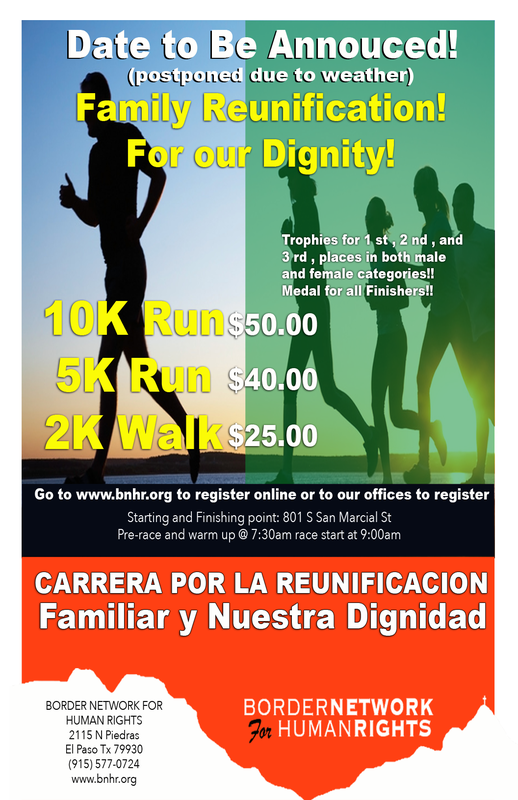 Based in El Paso, the BNHR counts about 4,000 members in El Paso and Southern New Mexico. BNHR Statement Responding to CBP Commissioner Kevin K. McAleenan’s Remarks on Asylum Seekers.